(Nederlandse versie hier) I haven’t been following new music lately as much as I did when I was younger, but sometimes there still is new music that I’m rather exited about. 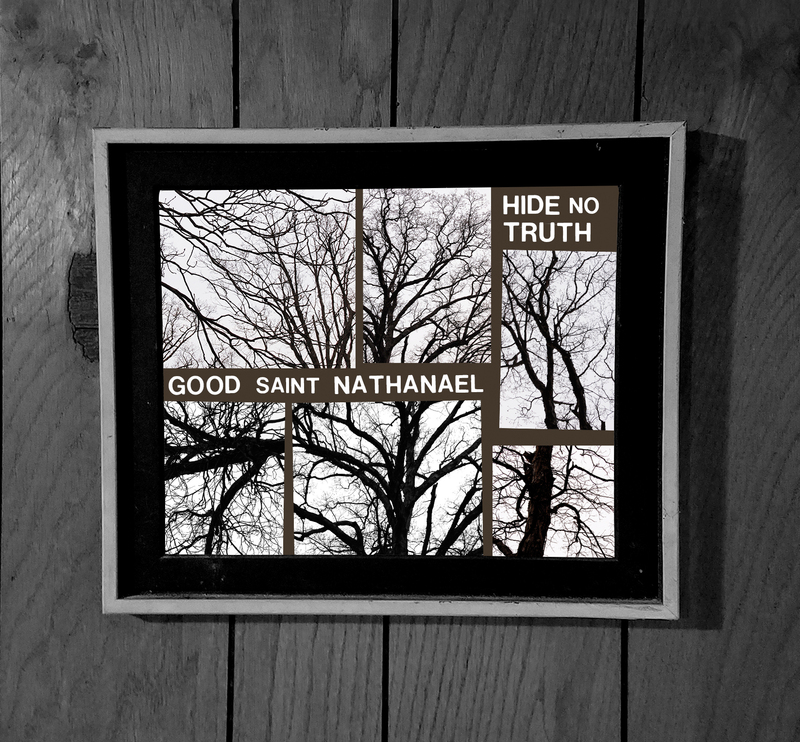 And today I’m very happy to announce the release of ‘Hide No Truth’ by Good Saint Nathanael, of which the burned CD hasn’t left my CD-player this week I think. (I was lucky to have a preview copy for this review!) It’s a remarkable and intriguing album with very quiet folk-based music but not at all easy listening nonetheless. I’m sometimes reminded of what an acoustic-based beck or the eels could record when they forget a rhythm section, or maybe a bit of Bonny ‘Prince’ Billy who plays the later dark Johnny Cash repertoire, with even echoes of a more inspired Daniel Johnston or a completely deconstructed mewithoutyou. But maybe all the name-dropping is just silly. In a just world this would become a reference album in the near future for this kind of music. And if you want to make sense of those descriptions, it’s better to just check out the singles Lightning, Everything that’s lost and better. So who is this guy? Good Saint Nathanael is the new project of Nate Allen, who is probably mostly known from ‘Destroy Nate Allen’, a fun folkband with DIY punk energy that discovered on myspace ages ago, in another world that was a lot simpler and full of wondrous new unknown and exiting obscure music. While I still feel the spirit of that world in the music of Good Saint Nathanael-something I often miss in todays musical landscape-, both projects are quite different in output, with Good Saint Nathanael being a lot more mature and introspective, as well as very subtle and deep both musically and lyrically. Basically the album consists of nine dark and rather minimalistic folksongs based on a skeleton of vocals and folk guitar, arranged with varying instruments (ranging from ‘broken tape noise’ to a harp) that create very intere sting atmospheric soundscapes in the background. 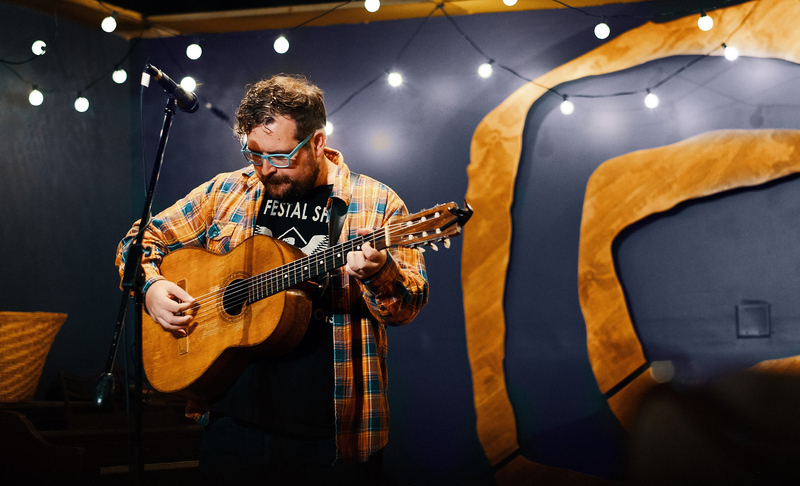 Nate Allen disarms the listener with the brutal honesty of his haunting voice, and most of the songs succeed fully in their ambitions without anything even remotely sounding like a rhythm section anywhere on the same continent. That alone can probably be seen as quite an accomplishment in 2019. Outside it’s freezing when I write this, although the promised snow has n’t fallen yet. I’m working on my laptop while listening to ‘hide no truth and for a moment everything fits perfectly: a good Belgian trappist beer, the quietness of the winter night, and music, honest and vulnerable. This is how enjoying music should happen! Disclaimer: I was indeed given an electronic copy of this album for writing a review, but all the enthusiasm is purely my own. 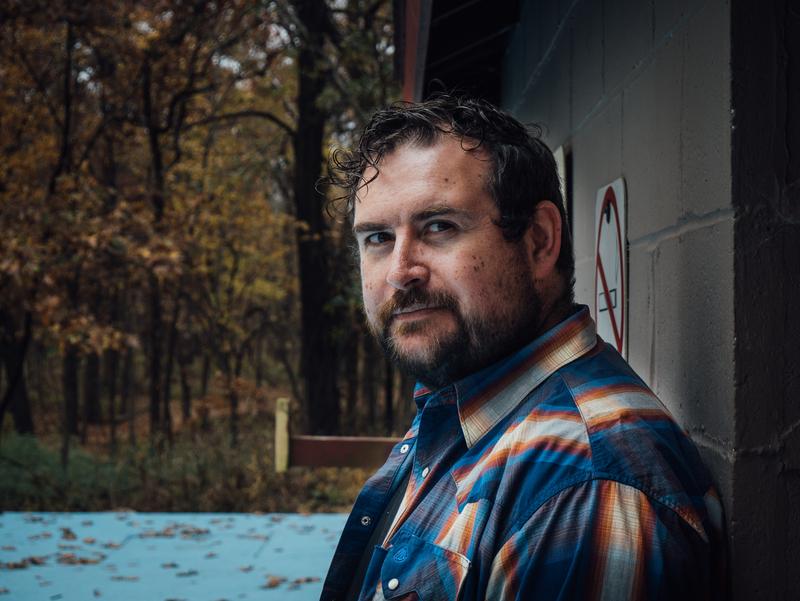 I’m not really following the American ‘Christian music’ scene at all (I’m just waiting for a new psalters album…) but Derek Webb is a songwriter and musician that I have been listening to since my late twenties. Especially the ‘mockingbird’ album is a personal favourite, and it will always remain one. I’ve always liked his songwriting, his wrestling with hard questions, his honesty and his voice. Check it out for yourself here on his website. It’s available on vinyl too, which might be a good idea if you like the album and want to support Derek. It certainly must be music that sounds a lot better from vinyl than from electronic format. So how’s the album itself? Let me start by saying that Derek Webb proves himself a superb songwriter once again on this album. 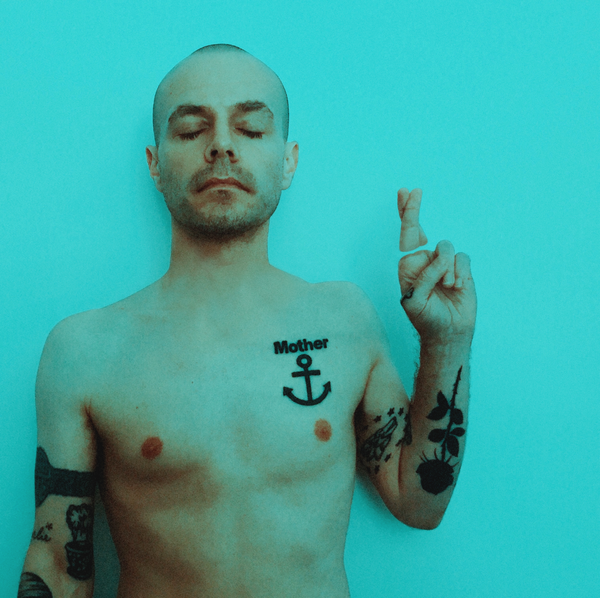 His semi-electronic arrangements work better than ever here, and the atmosphere he conjures are incredible and in line with what he’s trying to communicate. Unlike his ‘Stockholm syndrome’ album where the experiments with all kind of electronics led to a bit of incoherence on album-level this one works very well as a whole, with a lot of musical consistency. It’s a really good piece of work, with intelligent songwriting, well-crafted lyrics and interesting arrangements that work well to convey the feelings of what he’s struggling with. The songs are also performed well, Webbs guitar-playing and singing are at a high level here. His voice has never sounded this intense. A real artist is someone who can channel whatever they want to communicate through their art, and Derek Webb is definitely a good artist here. But what does he communicate? The ‘double divorce’ aspect of the album is very clear in almost every song. Descriptions of the loss of his faith, and the loss of his marriage, his own infidelity and the world around him that has fallen apart. The painful thing is that it seems that the main thing left from his own former (reformed) Christianity is a deep sense of his own total depravity. To be left with mainly that in the divorce is a very bad bargain I must say. It’s not really healthy for me to feed myself energetically too much on secondhand desperations that aren’t mine. I’m married, and far from the American dechristianiation, and I’ve never seen or encountered women as a temptation (I prefer them as friends), and neither do I have his very special relationship with alcohol. There’s not much I gain from listening too much to this album. Why would I keep listening to a song like ‘the spirit bears the curse’ for example, well-crafted as it is. It’s a very clever song that subverts the whole Christian worship cliché lingo into a song of adoration to alcohol? Yes, it’s smart and witty, and it would have a lot of effect in a live-show, it works as a bit of cabaret even. When you heard it once the surprise is gone. But having this song stuck in my head, with a chorus of adoration directed towards the wondrous deity of alcohol is not what I want. I do have enough demons of my own already… But there’s a lot of people elsewhere who must share these demons, and for those who go through a similar deconversion experience -which will be a lot of people, the dechristianiation of the US is certainly at hand- I suppose an album like this will give a lot of recognition and consolation. The very personal lyrics of the first and last song make me feel like it’s wrong to stop listening to this one, but that’s just how it is. There is something perverse in our audience/listener system and the asymmetrical pseudo-relationships it gives, especially for the artists that pour out to everyone but may end up alone in the end. But realistically I can’t do anything from here. I’ll still listen to ‘mockingbird’, and maybe to this one too from time to time. But I can’t share your demons. Shalom to you in all its aspects I mean with that. which might include email-intercepting agents from the FBI, the Belgian secret service and the Reptilian illuminati. 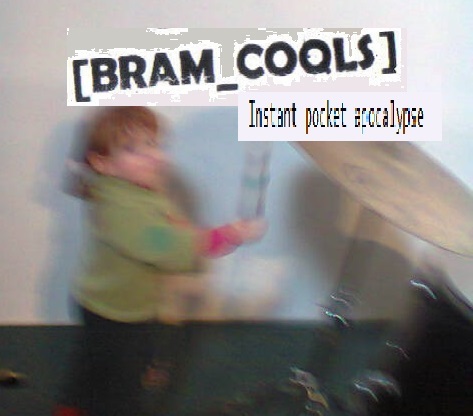 The release of the new Bram Cools album is nigh! Or in other words, new home-made musical madness from an alternate universe, against all trends and zeitgeist and the laws of logic and Hegelian dialectics and hopefully with a better sound than ever, will soon be available on the usual bandcamp site. It should have been finished this summer, but we never control life as much as we’d like to, and time is a strange thing and never reliable. 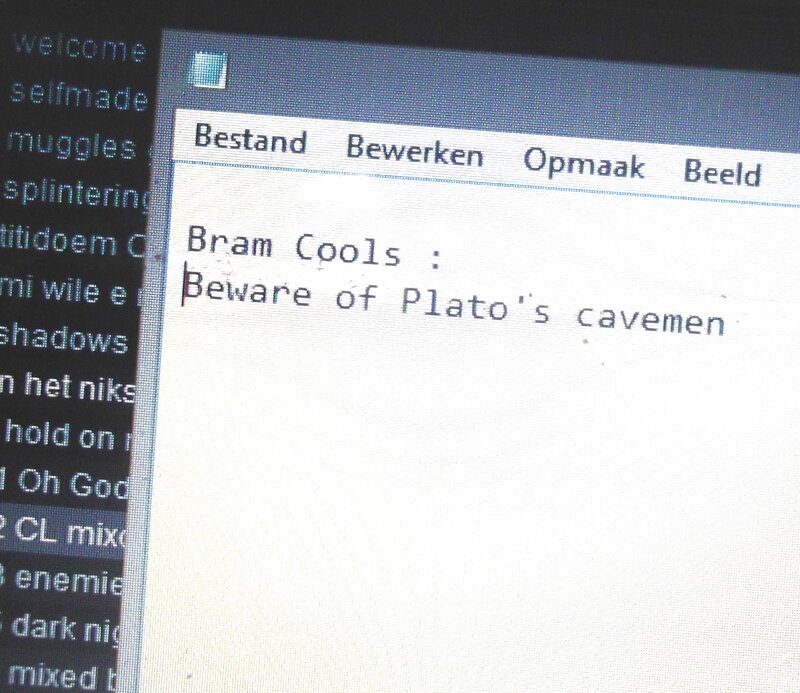 So with a little correction by reality the new and more realistic date is set somewhere in November… The ‘it’ referred to earlier here is a collection of 20 songs in different styles and even languages that will be called ‘ Beware of Plato’s cavemen’. It also can be considered the third album in the ‘cyberluddism‘ series, and as such also as a concept album of sorts again. Both musically and lyrically there are some unifying themes hidden somewhere, although rather loosely this time. While I attempted at first to make some simple songs with primitive electronic arrangements, it seems everything grew over my head again, and I suddenly had a long album full of songs with much more complicated arrangements than I had planned, interlayered with some instrumentals for which no actual instruments were abused. On the other hand seems that folk and pop have regularly won the fight against the bleeps and synths this time. The music as it has become sets the stage for explorations about how our constructed realities and illusions clash with Reality, if there’s even such a thing, and other subjects of faith, despair, world peace and the end of the world… The number of languages is going up again too, most are still in English, with 2 songs in Dutch or Flemish, 1,5 song in toki pona and some lines in Latin. 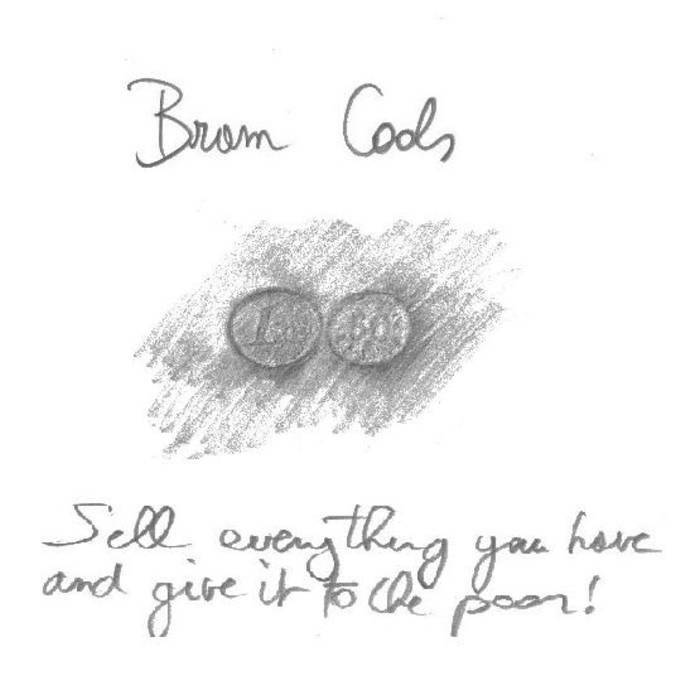 Bram Cools music: new songs & announcement!! 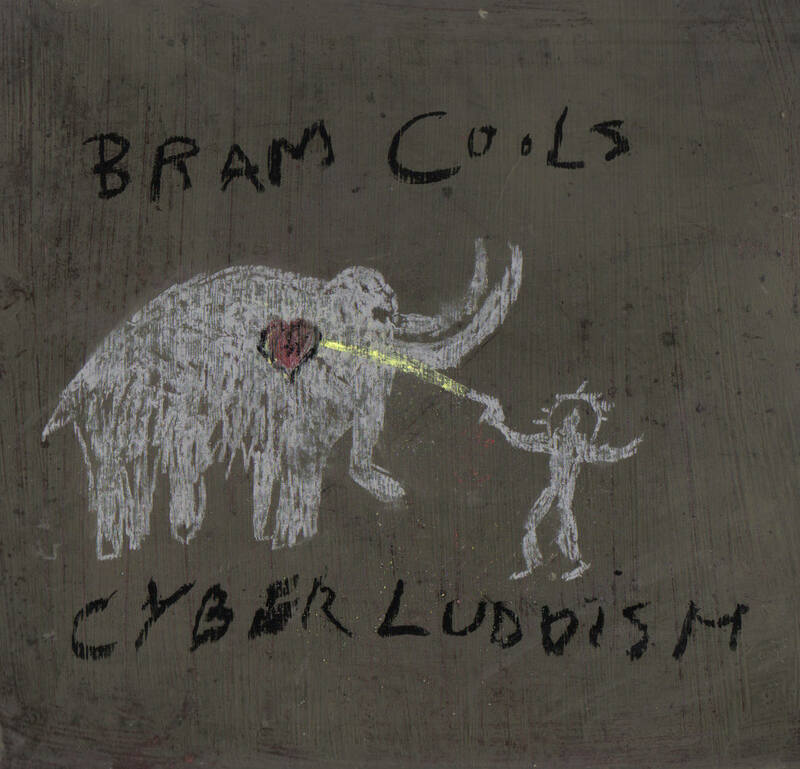 New Bram Cools songs on soundcloud! I have been rather silent the last years music-wise, especially when it comes to actual new songs, but that pattern will finally be broken this summer. Selfmade universe: A classic in the Bram Cools live catalogue that has been played live a lot over the years but never had a studio version though, Here it finally is, but re-interpreted in a rather electronic fashion, while keeping a rather relaxed indie-pop style. Might be about the dangers of pragmatic paradigm shifting, although I wouldn’t have used these terms when I wrote it. 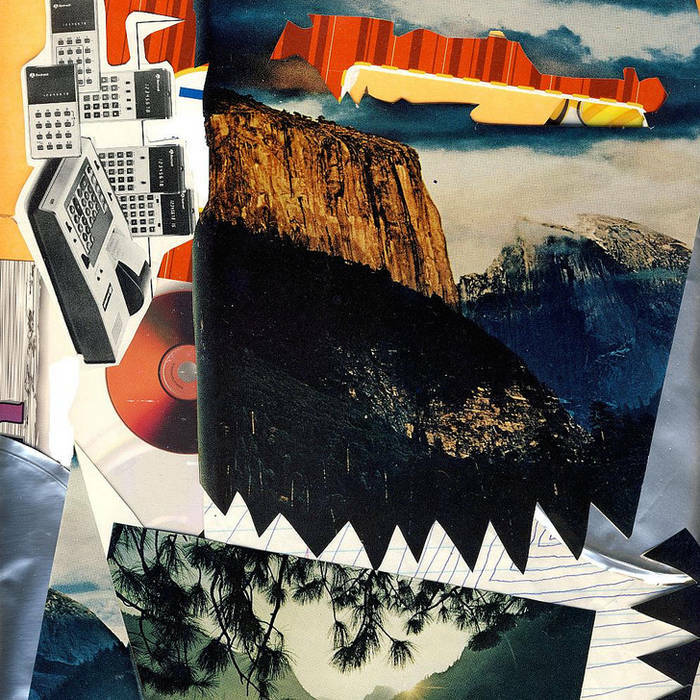 Muggles gonna muggle: More electronica and indie-pop with a slightly disorienting chord scheme, and a rather dark defence of both magic and religion against certain totalizing tendencies in modernism. mi wile e ni: Just a simple relaxed lo-fi pop song in Toki Pona, a minimalist constructed language with a vocabulary of around 132 words.World peace, all people should be friends and stuff like that.. The last months I’ve been working on a collection of songs that will end up as an album (cyberluddism part III, further title to be announced) that will be released in electronic form on bandcamp as soon as it’s finished. As the working title and it’s inclusion in the ‘cyberluddism’ series indicate, it’s predominantly electronic music with rather dystopian themes to the lyrics. 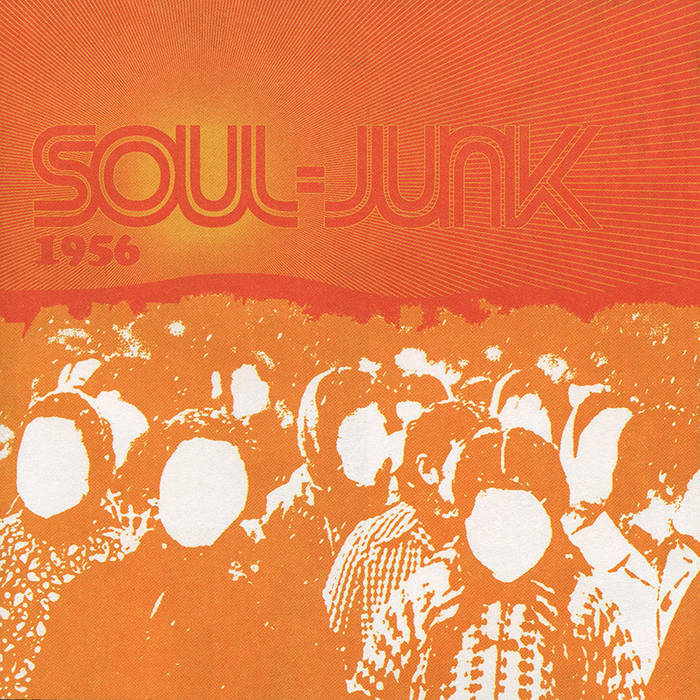 The difference with ‘cyberluddism‘ and probably even ‘Instant pocket apocalypse‘ will be noticeable in a more minimalist approach with a lot less aggression and generally a slower tempo… Less techno and industrial sounds, and more indie-pop with sometimes a rather high dose of triphop. Although some gothic folk, atmospheric drum’n bass and -if I get the arrangement done- even acoustic reggae- may also turn up here and there. It’s probably not completely a concept album, and still there is an overall theme to both the sounds and the words. There might be a certain influence for example of C.S. Lewis and Plato, apocalyptic pictures of dystopia, splintering dimensions, pragmatic paradigm shifting, and other everyday subjects. As the Toki Ponan title ‘mi wile e ni’ of one of the 3 preview songs already indicates, not all of the songs will be in English (or purely instrumental) this time. 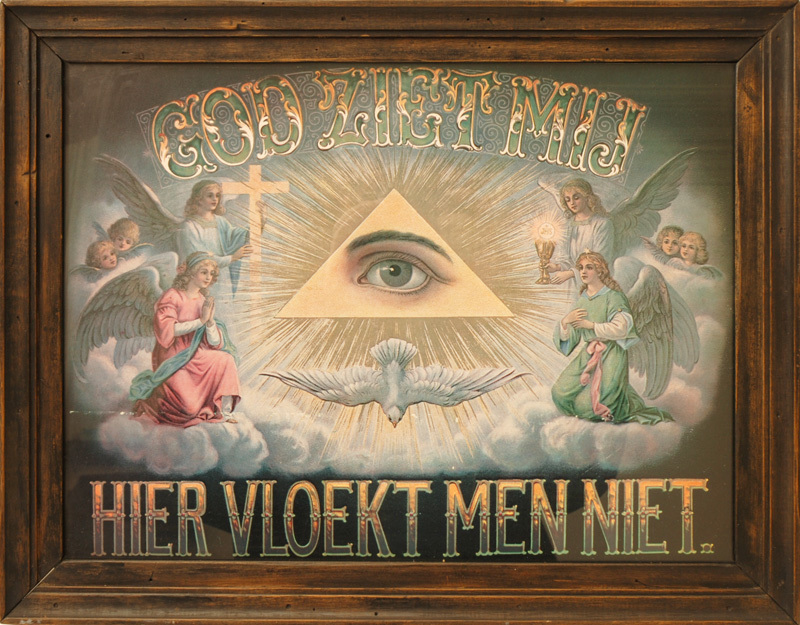 Apart from a whole song and some fragments in Toki Pona and 3 words in Latin there might be 2 songs in Dutch too. Good news for the few sparse Terrans who enjoy the sounds that I make under the misguiding umbrella term of ‘music’ from time to time. 2015 had seen a no really new Bram Cools music thusfar, only a release of my older Contemporary Christian Muzak, and some other old songs (like this remake of ‘last fish in the sea’, previously unheard by all except 3 or 3 humans) but no actual new songs. More from the Down The Line collective in the zine here.